But the anti-Pyongyang campaigner refuses to throw in his towel, and Cha’s office recently submitted its third report. This time the report claimed that Pyongyang is secretly restoring the missile launch pad of the Sohae Satellite Launching Station (also known as Tongch’ang-dong Space Launch Center) in the West of the country, which Pyongyang promised to dismantle at the first North Korea–United States Summit in Singapore, and the report claimed this was a message from the North’s Dear Leader to Donald Trump about the futility of a second summit in Hanoi and served as an example of how quickly Kim can cancel out earlier steps taken towards denuclearization. Let’s not forget that the work was carried out to dismantle the Sohae Satellite Launching Station and the rocket engine test stand between July and August last year before it all ground to a halt. Also in an interview with NBC News, Victor Cha gave his own clarification, saying that “the activity they are undertaking now [at the missile test site] is consistent with preparations for a test, though the imagery thus far does not show a missile being moved to the launch pad.” Thus, North Korea allegedly has a plan to flaunt determination in the face of the United State’s refusal to meet its demands to ease sanctions, by hyping up yet another missile launch. We can avoid getting bogged down in the nature of the debates which ensued about treacherous Kim, gullible Trump and the need for applying maximum pressure—what we would really like to know is what evidence backs this all up. The South Korean Yonhap News Agency reports (citing officials who received the latest report on 5 March from South Korea’s National Intelligence Service) that site repairs included the replacement of the roof and a door at the facility. An anonymous government source in Seoul also said that there is no sign that would suggest the rail structure is being rebuilt to connect the rocket processing building and the launch pad. There are signs that ancillary buildings are being restored. Experts from the research group 38 North did not make any far-reaching conclusions: restoration work at the Sohae Satellite Launching Station was carried out somewhere between 16 February and 2 March. There were two cranes on the launch pad and some buildings had new walls and a repaired roof. On 7 March, 38 North provided additional satellite images which showed that the crane which had been visible in image from 2 March had since been dismantled. Materials that had been stacked on the pad were removed, and a few cars were visible near the gantry tower. Signs of a new truss being installed and restoration of the upper structure were identified on the test site. From what we can see, we are not looking at what Victor Cha sees as the restoration of important mechanisms of the test site and launch pad. Other experts also believe that it is too early to jump to the conclusion that signs of restoration at Sohae indicate Pyongyang’s intention to suspend talks with Washington. On 7 March, Former US Ambassador to Kazakhstan Alexander Vershbow took part in a debate organized by CSIS, where he said that it is not yet clear how serious the situation is and whether the activity at the site has been an expression of North Korea’s disappointment with the results of the summit in Hanoi. According to Vershbow, there is no sign that Pyongyang is trying to undermine the negotiation process, and it is too early to draw any conclusions. Leading specialist Sue Mi Terry from the Center for Strategic and International Studies agrees with this point. In her opinion, North Korea is not reverting back to a provocative policy. When asked to comment, White House Press Secretary Sarah Sanders said that the Trump administration does not comment on the intelligence data. We can safely say that Cha has probably failed this time around, but this is not the only example of this type of scandalous news, and they could have a real basis. On 4 March, Director General of the International Atomic Energy Agency (IAEA) Yukiya Amano said that there was no sign of centrifuges being used to enrich uranium at Yongbyon nuclear complex. To be more precise, the IAEA has not recorded any signs of a nuclear reactor operating in Yongbyon since December last year, but not everything is so clear when it comes to uranium enrichment equipment. Yukiya Amano said that “without access, the agency cannot confirm the nature and purpose of these activities,” and demanded that North Korea comply with UN Security Council resolutions and the IAEA. In general, Amano has said that there is something going on there, although it is unclear what that is exactly, but the agency is ready “to play an essential role in verifying (North Korea’s) nuclear program if a political agreement is reached among countries concerned.” Meanwhile, on 5 March, the same report from South Korea’s National Intelligence Service submitted to the parliamentary Intelligence Committee indicated that the reactor was put into sleep mode and has not been used since, and underground tunnels at the nuclear test site near the village of Punggye-ri which were destroyed in May 2018 had not been rebuilt. Intelligence services in South Korea and the United States are constantly monitoring the situation at North Korean facilities for any developments in nuclear and missile programs, the report notes. Later, Agency Executive Suh Hong of South Korea’s National Intelligence Service clarified the situation. Although North Korea’s five-megawatt nuclear reactor used for plutonium production was shut down at the end of 2018 (and it does not look like this program is going to resume), the installation for uranium enrichment was operating as usual before the recent North Korea-United States summit in Hanoi. This has reminded many people that Yongbyon is more than just a reactor. Its uranium enrichment facilities came under international scrutiny in November 2010, when American nuclear scientist Siegfried Hecker was invited to take a look at 2,000 centrifuges capable of producing up to 40 kg of highly enriched uranium. Sanumdong also appears in other scandalous news from the American National Public Radio, who happened to have satellite images from the American company DigitalGlobe which suggest that North Korea is preparing to launch a rocket in the near future, possibly into space. The pictures taken on 22 February show cars and trucks parked around the facility. Rail wagons can also be made out with two cranes close beside them. National Public Radio quotes American expert Jeffrey Lewis from the Middlebury Institute of International Studies, who studied these images, who says “when you put all that together, that’s really what it looks like when the North Koreans are in the process of building a rocket”. However, in Lewis’s opinion, we are talking about a satellite launch, which should not be perceived as an act of aggression, given that satellite launch vehicles are unsuitable for military purposes. How do Washington and Pyongyang comment on this information? – On 6 March 2019. Donald Trump said that he “would be very, very disappointed” with North Korean leader Kim Jong-un, if these reports are confirmed. Although this is only preliminary data, and it is too early to draw any conclusions. Trump reiterated that he maintains good relations with the North Korean leader. On the same day on 5 March, US Secretary of State Mike Pompeo noted that the North Korean nuclear problem poses a threat to future generations of Americans. And he stressed that as Secretary of State, he aims to convince North Korea that it does not need nuclear weapons, and that Pyongyang needs to change its development strategy. Despite not reaching an agreement with North Korea during peace talks in Hanoi, US Secretary of State Mike Pompeo said he was “hopeful” that he’d have a team in Pyongyang in the “next couple weeks” to resume talks on denuclearization. On 7 March, during a regular briefing, US State Department Deputy Spokesman Robert Palladino noted that the United States is ready for a constructive dialogue with North Korea. At the same time, he did not give a direct answer to the question about whether the US had contacts with Pyongyang with information on the situation with the Sohae Satellite Launching Station. Palladino said he doesn’t have enough information and he’s not authorized to discuss it all. Thus far, each side has expressed some concern and there has been tension, but this is no justification for slowing down the dialogue. If it does come to light that the Sohae Satellite Launching Station is being restored, this may indeed be considered a breach of paragraph 5.1 of the Pyongyang Joint Declaration adopted at the inter-Korean summit in September 2018, where this site is specifically mentioned. But conducting military exercises could be considered a violation of paragraph 1.0, which refers to the cessation of all military hostility. In addition, Pyongyang has yet to make any written commitment to halt its uranium-enrichment program, the production of ballistic missiles, engine ground tests or an end to launching satellites with their launch vehicles. What is more, those who are well-informed will recall the bluffing in Kumchang-ri, when there were rumors about a secret facility, but it turned out to be an empty cave, and the North Koreans were able to squeeze a generous sum of humanitarian aid from their partners who were willing to pay for the right to view that cave. North Korea has the option to consciously exploit the fact that not everything is visible from the satellite, which is also worth keeping in mind. 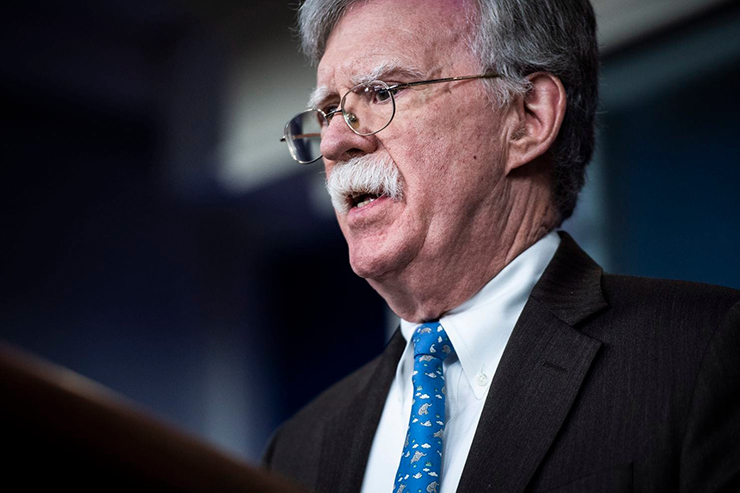 Under these circumstances, the concern here is that hypothetically, it is possible that the political climate could change and force Bolton and proponents of a similar approach to ease the pressure on North Korea, and a pretext will be found to cut the dialogue short. Could it be down to Victor Cha’s next report? There is a second point which should not be neglected, namely the news regarding the investigation into the attack which was carried out on 22 February at the North Korean Embassy in Spain, which we mentioned earlier. According to reports citing unnamed sources in the Spanish digital newspaper El Confidencial, even though the police and intelligence investigators have been working in parallel, they have not been able to identify the attackers yet. Various hypotheses for what has occurred have been put forward, including one version that the attack on the Embassy was planned by the CIA. “They may have been cooperating with other intelligence agencies or with hired agents.” This is nothing more than speculation at present, and the author of this article would sooner blame certain NGOs of South Korean origin for the attack which at most would have consulted with individual agents from the CIA, but if North Korea decides to break off the dialogue or change its format, this evidence—whether real or imaginary—could be used as a justification for taking this action. On 10 March 2019, An interview John Bolton gave ABC lent the world a very important insight into his position (and perhaps it is not only his position). On the one hand, the US presidential aide for national security while commenting on the media reports which, with reference to images from commercial satellites, claimed that North Korea was preparing for a missile launch in the near future, said that the Trump administration would not engage in speculation. The US is constantly monitoring the situation, and when Bolton was asked whether the White House was aware that activity had been observed at the facility prior to the summit in Hanoi, Bolton would only say that Donald Trump maintains a high level of confidence in relations with North Korean leader Kim Jong-un. On the other hand, according to John Bolton, Donald Trump personally handed Kim Jong-un “two sheets of paper, one in English, one in Korean”, which contained an explanation of how the United States defines “complete denuclearization”. As it turns out, this not only means that North Korean would have to give up its nuclear weapons, but also all of its weapon of mass destruction (including chemical and biological weapons) and its intercontinental ballistic missiles. This statement attracted a lot of people’s attention, because it was markedly different from what Stephen Biegun had said in a widely known speech he made at Stanford University on 31 January. Biegun, who was responsible for the negotiations with North Korea at the time, stressed that the “road map” will primarily focus on closing down nuclear facilities in North Korea. And only after steps have been taken with the exclusive aim of solving the nuclear problem will the United States begin to look at destroying fissile material stocks, weapons, missiles, launchers and other weapons of mass destruction. Moreover, at a briefing on 7 March, an unnamed senior State Department official (who could well be the very same Biegun) said that “no one in the administration is in favor of a phased approach.” The precondition for any other steps the United States could take is the complete denuclearization of North Korea, and “complete” implies North Korea should abandon all of its weapons of mass destruction and means to deliver them. We believe this precondition has set a bleak tone: this interpretation of denuclearization is obviously infeasible, and if it is shared by the majority of White House officials, including Bolton, this point could become one of the reasons for terminating the de-escalation. Even if Trump is of a different opinion, how long will he be able to hold out on his own in negotiations? Especially considering that Victor Cha will give officials every reason to back out of talks.